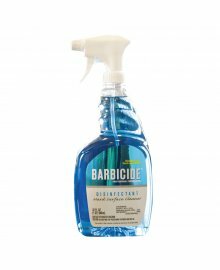 Barbicide Salon Disinfecting Products are available in-store and online from Dennis Williams Hair & Beauty Supplies. 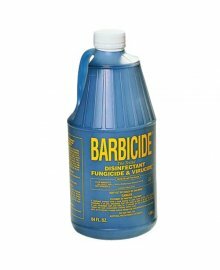 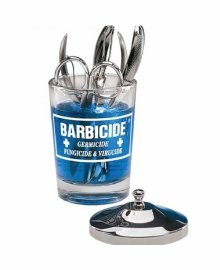 When it comes to protecting and maintaining a clean salon, spa or barber shop environment Barbicide are a brand you can trust. 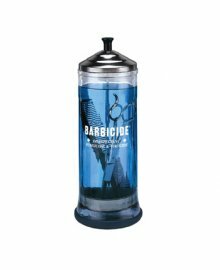 With a long history of keeping everything safe and disinfected since 1947 in New York, they are now a world-renowned brand who cater for salons worldwide.<p>While other salon and barber disinfectants tend to fade, the brilliantly trademark blue Barbicide keeps its colour over time, allowing the savvy and superior blue symbol to be recognised by clients and consumers everywhere. If you're looking to mark your salon as the best of the best in high quality cleaning, Barbicide is the ultimate go-to product to ensure no cleaning complaints. 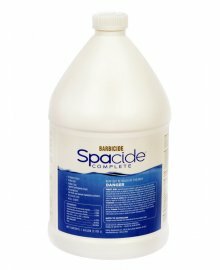 The complete Barbicide Salon Disinfecting range, including sprays and jars, is available as a wholesale supply from Dennis Williams.